I'm constantly experimenting and trying out new strategies to increase pageviews and boost traffic to my blog. For the month of April, I started experimenting with Reddit. 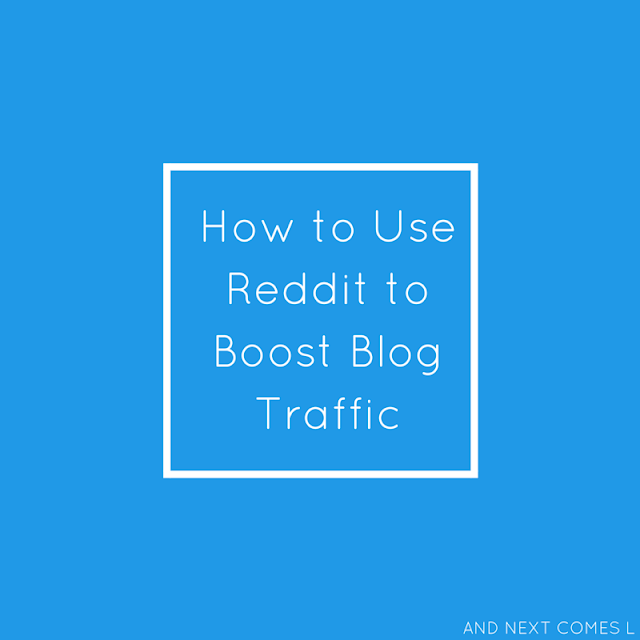 I immediately saw positive results and I thought I would share what I learned about how to use Reddit to boost blog taffic and increase pageviews. Before I signed up for Reddit, I started reading anything I could about using Reddit as part of my blog strategy. Unfortunately, there wasn't a lot of information for me to read. On the positive side, though, I figured that that meant most bloggers aren't taking advantage of the platform. So I wanted to experiment to see if maybe, just maybe, it is worth using on a regular basis. Now let meback track a few months to what really triggered my interest in using Reddit as a blogger. Back in December, someone submitted one of my posts. Within 24 hours, I had an extra 100 pageviews to that one post. Now that might now seem huge to many (and it doesn't to me), but I am not one to complain about 100+ extra pageviews. I kind of doubt you would complain about that either, especially since I had to do literally nothing to get that extra traffic. Also, imagine you are a blogger new to the scene. Those 100+ pageviews could make a huge difference in the beginning. Twitter only outperformed Reddit by 26 pageviews! It's important to note that I didn't start using Reddit actively until mid-April. So Reddit referrals could easily have been in my top 10 for the month of April. Another thing to point out is that I spend lots of time working on Pinterest and Facebook. Like we're talking hours. Twitter I spend about 15 minutes up to 1 hour on per day. In contrast, I was only spending 5-7 minutes total on Reddit per day. So less work and a pretty decent return? I'd call that a success in my books! Reddit has been a much better investment than my experimentation with tumblr, but I will save that for another post. Have I piqued your interest in using Reddit yet? Here are my tips for using Reddit as part of a blogging strategy. Subreddits are basically like themed groups. I joined these subreddits: /r/autism, /r/hyperlexia, and /r/kidscrafts since they fit best with the topics that I blog about. Look for active groups related to your niche and join them. Every subreddit has different rules. Apparently it is is really easy to get banned on Reddit. Don't let it happen to you! Read the rules, familiarize yourself with the rules, and most importantly, follow the rules! When you first join Reddit, you are limited to how much and how often you can submit. You have to take it nice and easy. You need to build up karma. Karma is basically a point system where you get rewarded for submitting interesting content. If other users like your posts, they can upvote them, which, in turn, gives you karma. The more karma, the better. How do you build up karma? Well, by submitting interesting content that fits within the rules of the subreddit. You can also build up comment karma by leaving comments on other posts on Reddit and hoping others upvote your comments. I don't have much comment karma myself yet because I haven't commented too much yet. Promote yourself too much and you'll likely get banned. When I first started submitting content on Reddit, I started by looking for trending stories and posts by others and submitting those. I wanted the other users to see me as one of them (when really I'm a sneaky, self-promoting blogger in disguise). So when I first joined, I would submit one link by someone else in the morning. Reddit wouldn't let me submit more than that since I was a newbie. Then in the evening, I would submit another link to a different subreddit. Usually I would submit three links to other content and then I would share a link to something of mine next. Realistically I spent a total of 1-2 minutes on Reddit those first few days. As I built up more karma, I was able to submit a lot of links in one visit. Now I like to submit a few links every morning and then a few more in the evening, which literally takes less than 10 minutes to do per day. Usually 1-2 links will be to my own content. I try to avoid sharing two links to my own content in the same subreddit on the same day. I spread it out between subreddits. Reply to comments, upvote other posts in the subreddits, and comment on other posts. Then sit back and enjoy the extra little bit of traffic. And who knows, maybe something of yours will go viral via Reddit...a girl can dream, right?? What do you think? 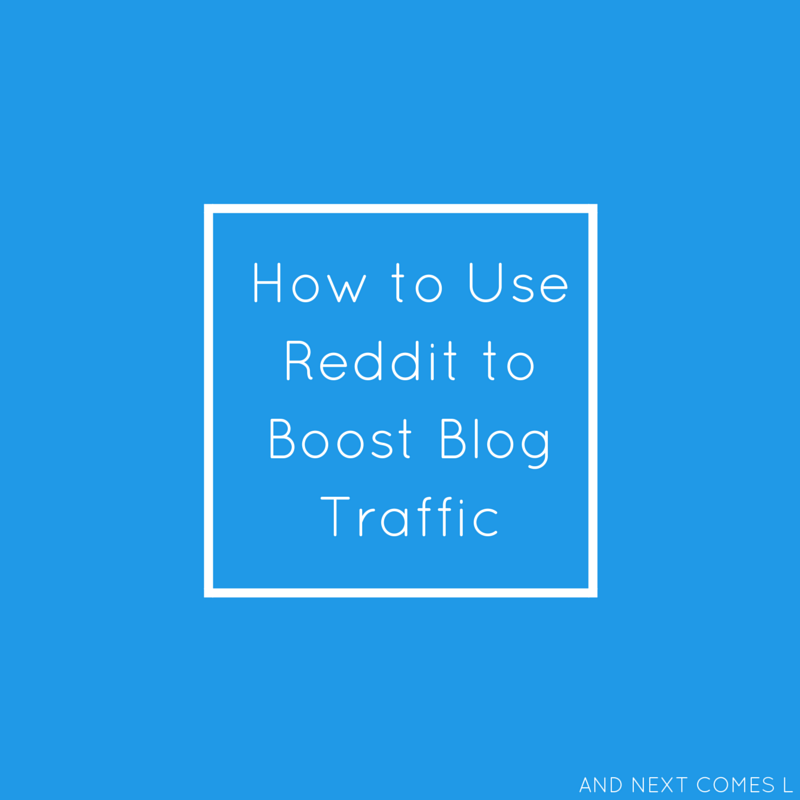 Are you using Reddit as part of your blog promotion strategy? When I submit or have another blogger submit my Disney posts they do pretty well! I have submitted a cool cupcake design of mine and it did really well! I wish I was better at figuring out the Subreddits and understanding the rules better of each sub. Yeah that's the hard part: trying to locate the best subreddits that fit your niche and then remembering to read all the rules for those subreddits!